Parkinson’s disease (PD) is pathologically characterized by the presence of α-synuclein positive intracytoplasmic inclusions. The missense mutation, A53T α-synuclein is closely related to hereditary, early-onset PD. Accumulating evidences suggest that pathological accumulation of A53T α-synuclein protein will perturb itself to be efficiently and normally degraded through its usual degradation pathway, macroautophagy-lysosome pathway, therefore toxic effects on the neuron will be exacerbated. Based on the above fact, we demonstrated in this study that A53T α-synuclein overexpression impairs macroautophagy in SH-SY5Y cells and upregulates mammalian target of rapamycin (mTOR)/p70 ribosomal protein S6 kinase (p70S6K) signaling, the classical suppressive pathway of autophagy. 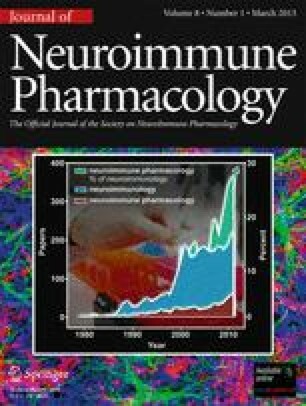 We further found that curcumin, a natural compound derived from the curry spice turmeric and with low toxicity in normal cells, could efficiently reduce the accumulation of A53T α-synuclein through downregulation of the mTOR/p70S6K signaling and recovery of macroautophagy which was suppressed. These findings suggested that the regulation of mTOR/p70S6K signaling may be a participant of the accumulation of A53T α-synuclein protein-linked Parkinsonism. 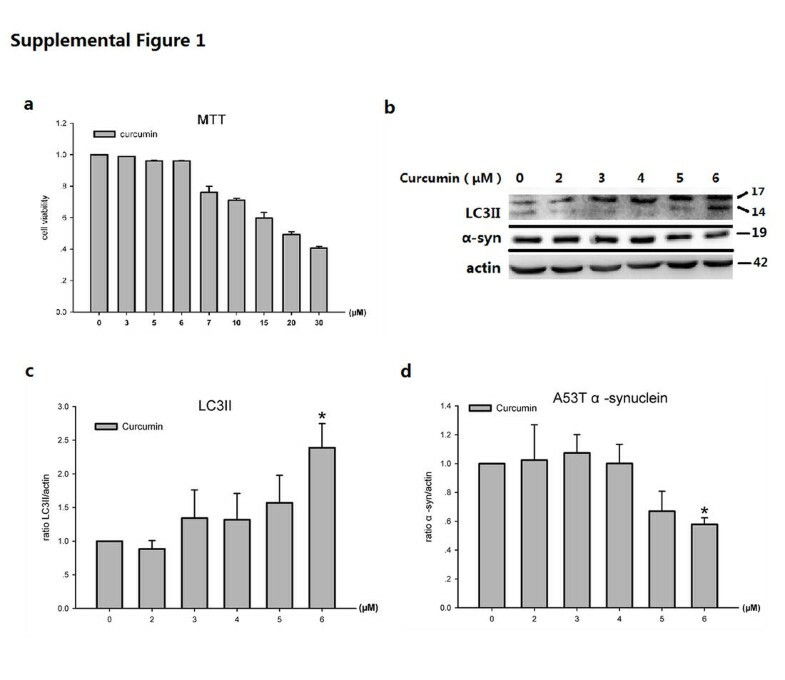 Meanwhile curcumin could be a candidate neuroprotective agent by inducing macroautophagy, and needs to be further investigated by clinical application in patients suffering Parkinson’s disease. The online version of this article (doi: 10.1007/s11481-012-9431-7) contains supplementary material, which is available to authorized users. This work was granted by the National Program of Basic Research of China (2010CB945200, 2011CB504104), the Natural Science Fund (30872729, 30971031, 81129018), Shanghai Key Project of Basic Science Research (10411954500), and Program for Outstanding Medical Academic Leader (LJ 06003). We would like to thank Prof. T. Yoshimori (Osaka University) and Prof. N. Mizushima (Tokyo metropolitan medical science research institute) for the generous gift of the LC3 cDNA.